Select SIZE Mens 22 / 36" Mens 24 / 38"
Hey, speed racer! It’s time to slow it down and check out the best new pair of men’s racer trunks out there! The unstoppable stop sign red look of the Finz Racin' Red Men’s Racer Trunk will stop the competition dead in their tracks! Best of all, this show stopping style has all of the bells and whistles. 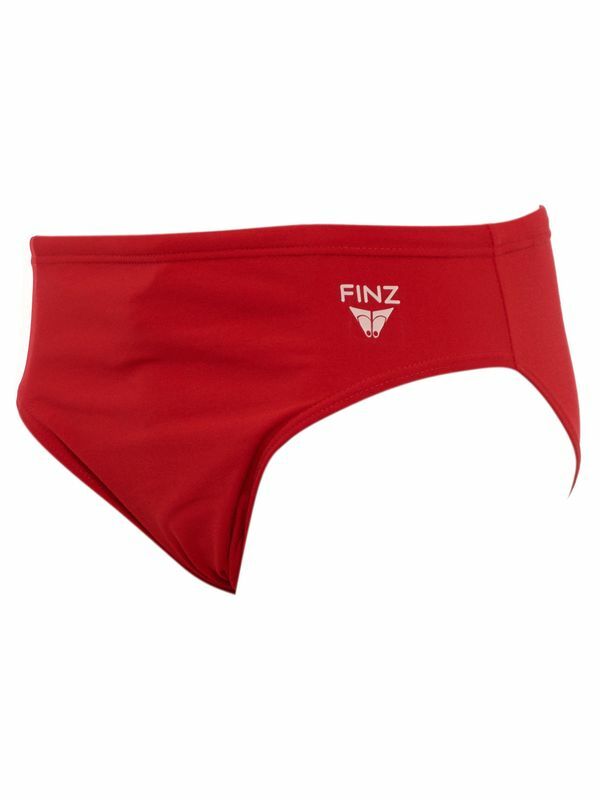 Thanks to its second skin fit, the Finz Racin' Red Men’s Racer Trunk will have you flying through the water faster than any other speedy swimmer splashing around the pool. Craftily constructed with 100% PBT Finz Aquashield fabric, these trunks will have you racing past the completion at top speeds.